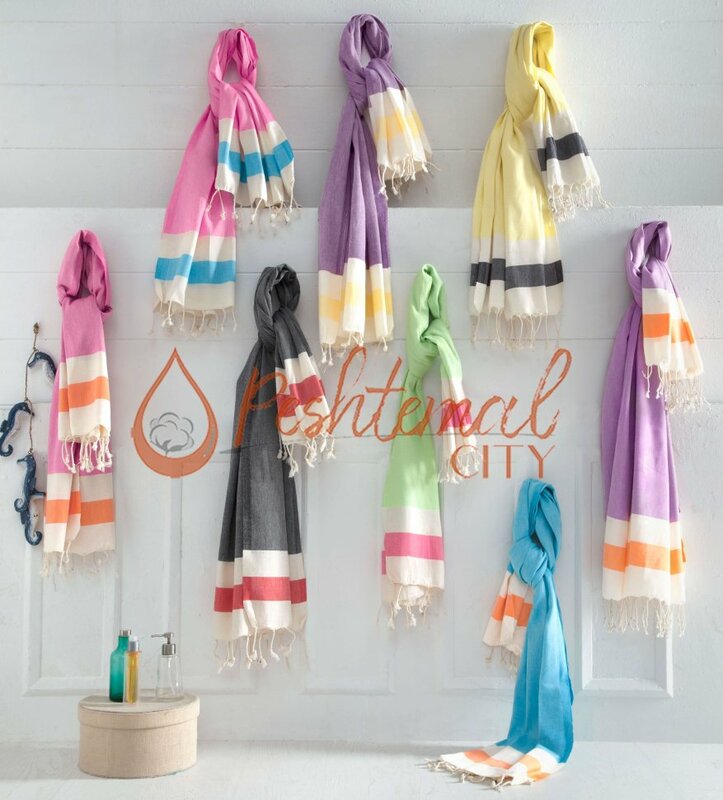 As Peshtemal City, we work hard to deliver you the best possible peshtemal, hammam towel, fouta towel, Turkish towel, peshtemal bathrobe and peshtemal blanket designs along with the best possible service! It is our objective to become the leading peshtemal manufacturer in the entire market! This week, we want to answer some frequently asked questions in our article for the Autumn 2018 Peshtemal Wholesale season. We wish that our article is helpful for our respectable readers. 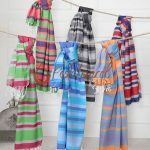 We manufacture our peshtemal designs using 100% from premium quality ring spun Turkish cotton yarns. Turkish cotton is great for manufacturing quick-drying peshtemals. It pushes water from your skin instead of taking it into the towel and loosening the yarn. Using Turkish cotton is also great for preventing meldew! The designs of the peshtemals we manufacture are applied by the best dye-house in Denizli Turkey. 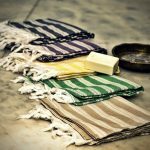 Fouta towels we manufacture and wholesale don’t contain any harmful materials or allergic dye on their textures, thus they can be confidently used! 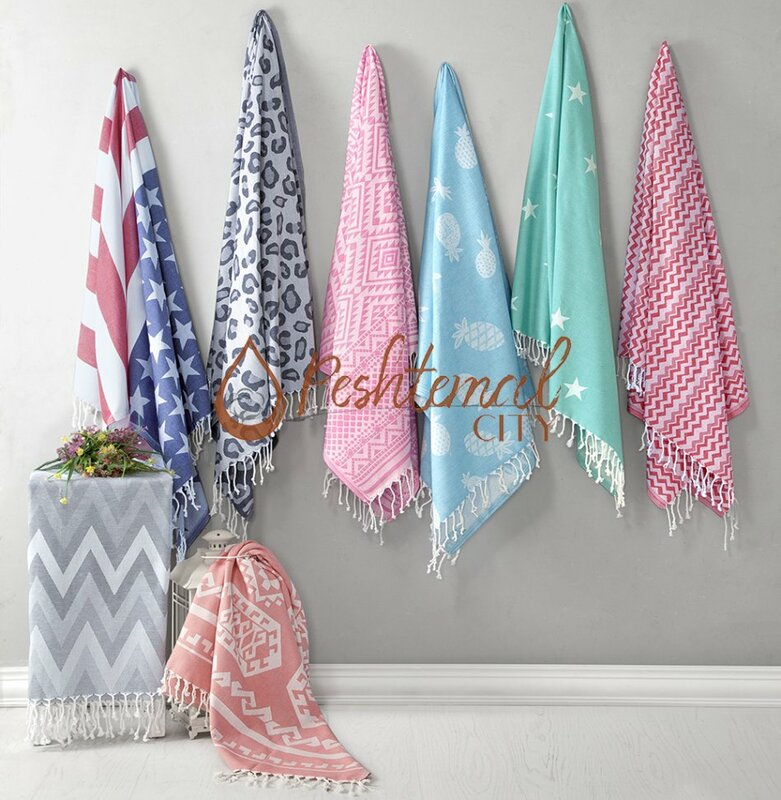 As a responsible fouta towel manufacturer, we make sure that peshtemals, hammam towels, fouta towels, Turkish towels, peshtemal bathrobes and blankets we manufacture and wholesale are extremely durable. We assure you that you can use our products on a daily basis for many years. Their texture won’t get harsh for a long time and their dye won’t start fading after a couple of washes. 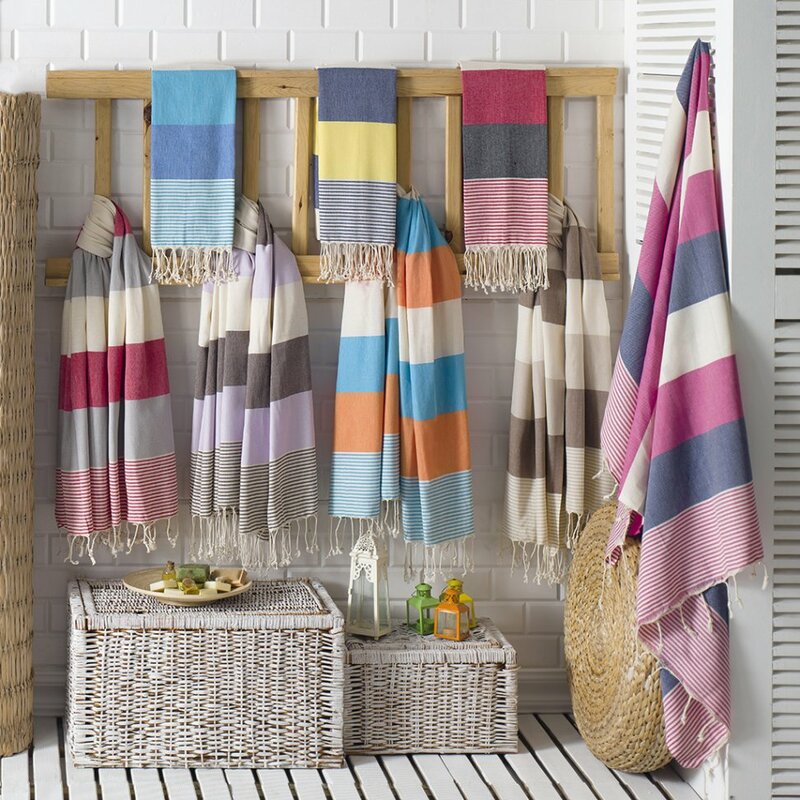 Peshtemals are lighter than ordinary towels by nature. Another advantage of using Turkish cotton is that Turkish cotton is perfect for manufacturing super packable fouta towels! They take very little space in one’s backpack and can be easily taken to travels! 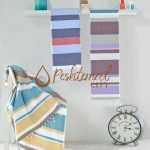 Not only perfect for vacations, peshtemal we manufacture and wholesale are designed to be elegant. They are perfect decorative items for one’s bathroom, kitchen, living room, garden and yacht! You can take our hammam towel designs to the parks with you to relax and read while laying on them under the shadow of a tree or surprise your loved ones with picnics on a lively day! 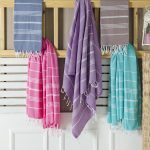 Peshtemal is not just a towel. They are important cultural elements of Turkish history. 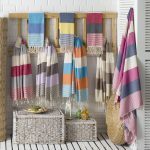 Peshtemals are enhanced towels that are more absorbent, quicker drying, and softer than terry towels! 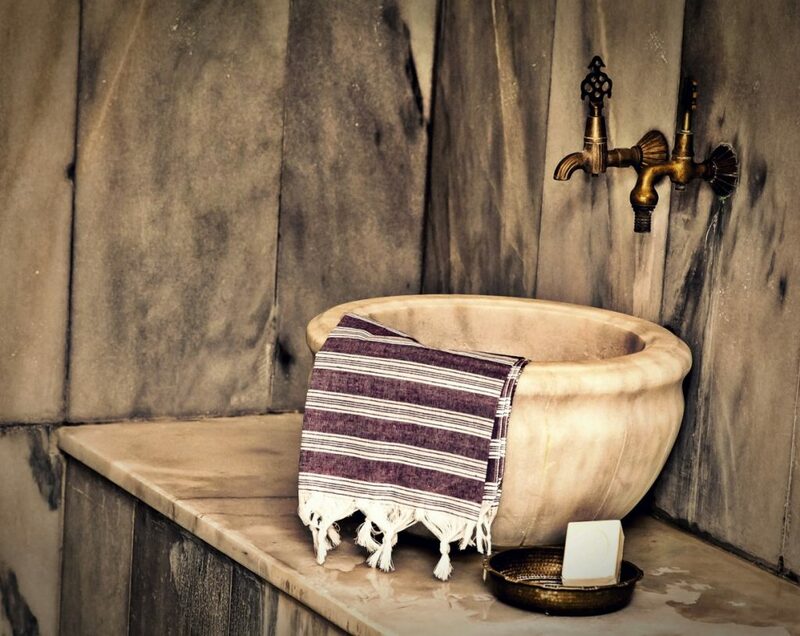 We manufacture our products for your utmost comfort and we assure you that once you use hammam towels we manufacture, you won’t want to use any other! Before we finish our article we want to remind a couple of important things to our readers. 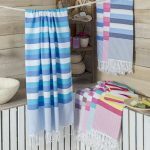 We suggest you visit our “products” page to discover the entire collection of peshtemals, hammam towels, fouta towels, Turkish towels, peshtemal bathrobes and blankets we manufacture and wholesale! Don’t forget to visit our “What is Peshtemal?” page for more detailed information on the historical and cultural aspects of peshtemals! Don’t hesitate to “contact” us for any questions or your fouta towel wholesale needs!